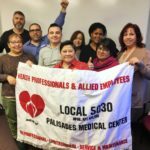 Local 5030 represents Registered Nurses, Professionals, Technical Staff, License Practical Nurses, Service Workers, and Skilled Maintenance Staff at Palisades Medical Center in North Bergen, NJ. 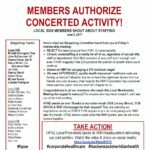 If you took a vacation day, personal day or a sick day during the pay period 3/24 – 4/6, it should not have come from your new PTO bank but rather from the days you already had accrued. On January 26th, HPAE members came out for a training on handling grievances and representing their co-workers in disciplinary procedures. 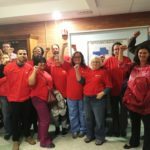 After seven months of bargaining with Hackensack Meridian Health, nurses and health professionals at Palisades Medical Center have ratified a three-year contract. 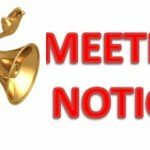 We will be holding a membership meeting on Friday, November 2nd so the bargaining team can present a complete summary of the agreement and answer all questions. 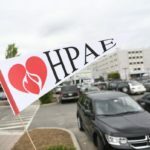 After six months of negotiations a tentative agreement has been reached between HPAE Local 5030 at Palisades Medical Center with Hackensack Meridian Health (HMH). 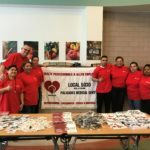 Local 5030 Update – October 3: Stay Strong! Stay United! 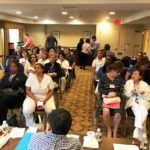 In recent weeks, members have spoken out in a variety of ways for safe staffing and a fair contract. We held an informational picket last Thursday and released a powerful staffing video to the public. 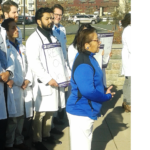 Health professional held an informational picket outside of Palisades Medical Center to call on Hackensack Meridian Health to protect patient safety by committing to safe patient limits and put a stop to anti-union tactics that attempt to intimidate. Join the Picket! 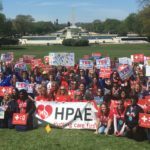 : Tell HMH to put patients before profit. 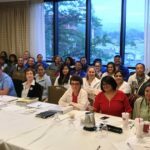 Stand strong with our union sisters and brothers on the picket line on Thursday, Sept. 27 from 2-5pm outside the hospital. 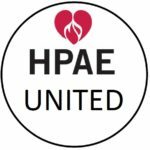 A brief message from your HPAE negotiating team. 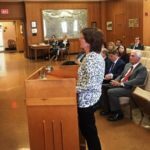 In negotiations yesterday, management once again came to the table unprepared and refused to present any economic proposals. 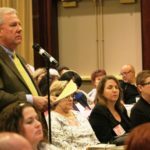 The Nominations/Election Committee announces that they are now accepting nominations to represent Local 5030 at this year’s HPAE State Convention. 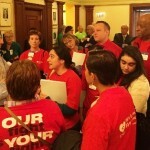 Management said they have “no interest” in safe staffing ratios. 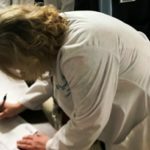 They will have the CNO and Director of Nursing at negotiations this Thursday to address staffing concerns. 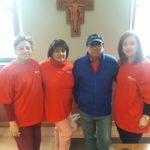 Close to 50 blood pressure checks were performed and food was distributed to community members at St Mary’s Catholic Church in West New York. 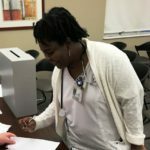 RN’s along with CNA’s from HPAE Local 5030 are holding a Community Day of Action by offering health screenings to those in the community that are in need of assistance. 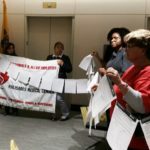 Members took action on safe staffing at Palisades Medical Center on Tuesday, February 21 after management failed to follow through on a commitment to create 134 new positions made to the union during the last cycle of negotiations. 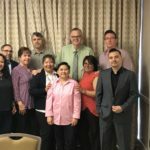 The new leadership of our local union held a Union Rep meeting this past weekend to provide education and training to our Reps and to help build a strong internal structure for our local. 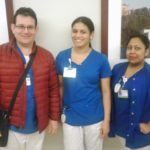 An overwhelming majority of day shift members of HPAE Local 5030 signed a petition demanding that Hackensack UMC/Palisades respect workers’ rights and provide safe and secure parking at the facility. 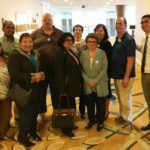 Local officers from HPAE Local 5030/Palisades Medical Center and Local 5629/Sunrise House attended the 2017 AFT Collective Bargaining Conference, which was held in Chicago on October 27 and 28. 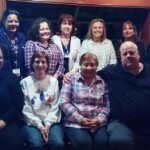 The newly-elected Local 5030 officers held their first membership meetings yesterday. The turnout for the meetings was excellent, with over 100 members attending during the day. 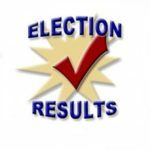 The results of the Local 5030 officer elections have been finalized. 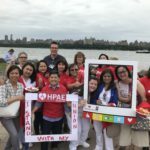 A tentative agreement has been reached between healthcare workers represented by HPAE and administration at Palisades Medical Center (HMHPMC), now part of the Hackensack Meridian System. 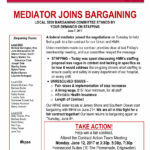 A federal mediator joined the negotiations on Tuesday to help find a path to a fair contract for our Union and HMH. 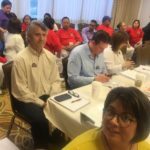 Union members made our contract priorities clear at last Friday’s membership meeting, and our committee relayed the message. 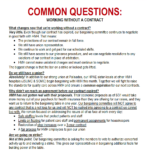 Working Without a Contract: What Does That Mean For Us? 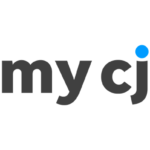 Now that the contract expiration date of May 31 has passed and there is no settlement, we are working without a contract. What does that mean for us? 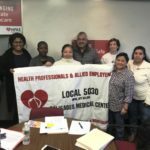 At Local 5030 membership meetings held on Friday, we sent a strong signal to Hackensack Meridian Health (HMH) that we're determined to achieve a good contract. 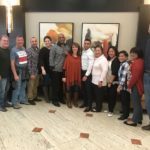 The Local 5030 Negotiations Committee received strong support from the membership at today's bargaining session. 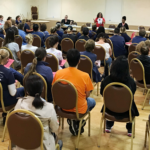 At the bargaining session yesterday, a large group of Housekeepers were there to support the Negotiations Committee and to let management know about their key issues. 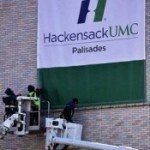 HPAE Local 5030 began bargaining this week with Hackensack Meridian Health Palisades Medical Center for a new contract. The current contract expires on May 31st. We have wrapped up our first week of bargaining. 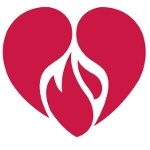 If you would like an update please use the following number to call in: 201-483-9916. 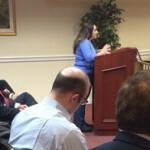 Extension 169 is for English and extension 170 is for Spanish. 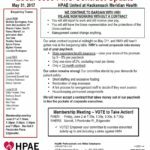 As we head into the last few weeks of contract negotiations with Hackensack Meridian Health, we've scheduled membership meetings for Monday, May 22, at the Homewood Suites, Edgewater City Place Shopping Center @ the Promenade. 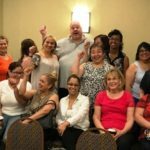 Our union is offering RNs a CE workshop on staffing Wednesday, May 24th, 10 am to 1 pm, in the hospital auditorium. Lunch will be provided. 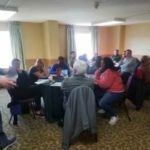 We're holding important membership meetings at the Homewood Suites on March 29th (7:30am, 1:30pm, 3:30pm, 5:30pm, & 7:30pm) as we move closer to contract negotiations with Hackensack Meridian.